It is that time of year again. The time of year where Thanksgiving and Christmas are upon us. We here at MetroKitchen have had a shipment of a new line of cookware just in time for the holidays. Lagostina Martellata cookware is beautiful. I was lucky enough to try the Langostina 6 qt. Pasta Pentola and the Langostina 8 inch fry pan. 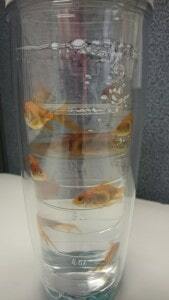 The Lagostina Martellata 8in. Skillet is the perfect size for one person or for a small side dish for the family. 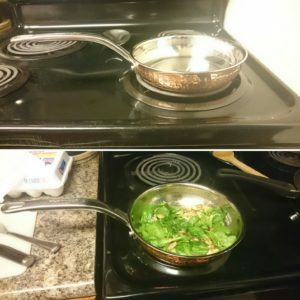 I used this pan to saute some vegetables, and they came out very well. This pan would also make a lovely gift for anyone. I also know that my boyfriend has used this to even make grilled cheese and it wasn’t too hard to clean. This line is to be hand washed only. I would never wash either of these in the dishwasher except for the pasta pentola insert. The pasta pentola pot is the perfect size for someone like me. This is my favorite out of the two. 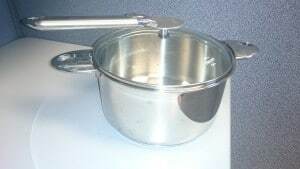 I have boiled pasta and potatoes in this pot. 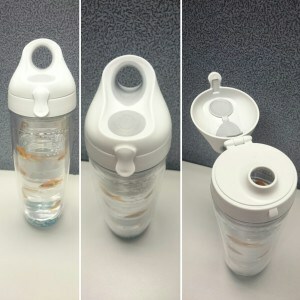 It is so comfortable and convenient to just lift the insert out to strain the pasta and vegetables. 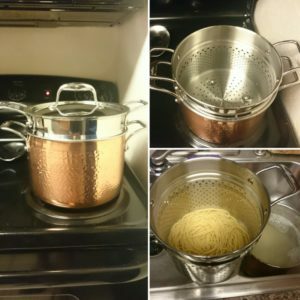 No need to dirty another strainer after boiling veggies or pasta. Just lift, and you are done. While it is recommended to hand wash the copper pot but the insert is 100% safe to put in the dishwasher. Lagostina Martella is compatible with gas, electric, halogen, and ceramic cooking surfaces. Not induction compatible. It also comes with a lifetime warranty from Lagostina with regular use and proper care. Perfect for Thanksgiving and great for Christmas gifts! Also, perfect to have on the stove during Thanksgiving giving the kitchen a gorgeous look. Save clean up time with the new Cristel roasting pan. Thanks to its extra wide handles, you can use thick oven mitts to remove the Cristel roaster from the oven. These are just two of the many innovations The Cristel Cookware company has brought to this kitchen basic, the roaster. According to the NY Times, this roasting pan from Cristel cookware “includes a resoundingly smart feature. Handles that are wide enough to accommodate thick oven mitts.” You’ll appreciate the matte finish interior which makes for easy cleaning. For a limited time, you’ll get a free Cristel apron with your roaster purchase. Like all Cristel Cookware, this roaster is made in France. 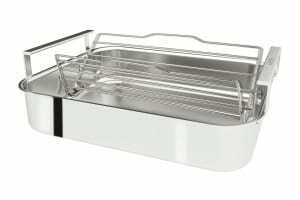 It has a layer of top quality stainless steel on the interior cooking surface. This completely covers a core of aluminum for fast heating. The exterior is magnetic stainless steel on the exterior. It is it induction compatible. Of course, the roaster can be used in the oven, up to 500 degrees F.
We also love the compact folding rack and useful thermometer that come with the Cristel roaster. We’ve even used this roaster for casseroles and lasagna. 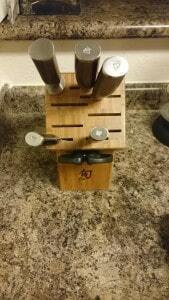 It measures 16.7 x 13 x 5.1 inches and it can handle a 25 pound turkey. The stainless steel roaster comes with a lifetime guarantee. 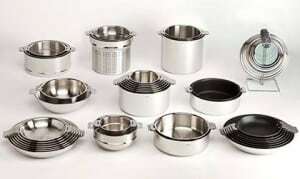 I had tested out some of the Cristel Casteline Removable Handle Stainless Steel Cookware over the past few weeks and the quality of these pots and pans are great. 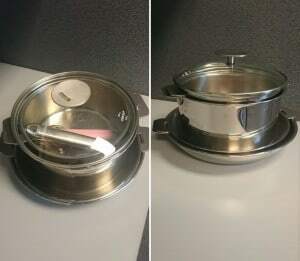 The cookware set is very well made. 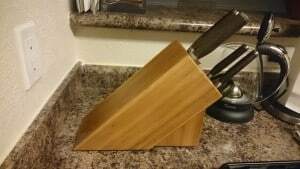 What I love about them the most are the removable handles. I live in an apartment and cabinet space is very limited. So, I have some of my kitchenware in a kitchen island in the living room due to the kitchen being a tad small. The Cristel Casteline pots and fry pans stack well due to the lack of handles, in turn saving space. Handles can be stored inside the top pot, not taking up any extra space. Cristel also made the handles super easy to attach and remove so you don’t have to fight with the handles at all. The pots and pans themselves cook foods very well. Due to the 5 layers of stainless steel and aluminum, the pans have fast evening heating. 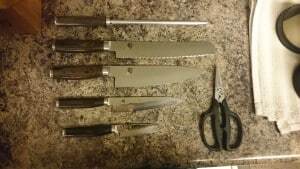 Three layers of stainless steel enrobing 2 layers of aluminum as you can see with the picture I have provided. I had made pasta in the pot and sauteed chicken and vegetables in the fry pans. I had no issue with food sticking. As a side note, I did use butter and olive oil to prevent food from sticking to the pan. The Stainless Steel pots and pans are also oven safe up to 500° F . The glass lids up to 400° F. It is not recommended at all to put the glass lids under a broiler or removing the handles in the oven or under a broiler for safety reasons. The cleaning process is also a breeze. These pots and pans ARE dishwasher safe. Also, If you prefer to hand wash your pots and pans, you don’t have to scrub the pans too much to get these pans clean. If I am ever in need to replace my pots and pans I would definitely consider getting a set. The product I want to talk about today would be the Scanpan 10 1/4 inch Classic Square Nonstick Grill Pan. 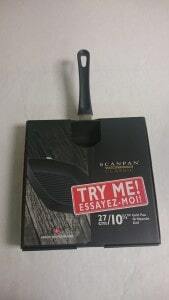 I love Scanpan products: they are highly durable, long lasting, and they are genuinely nonstick cookware. This square nonstick grill pan will cook pretty much any meat you would usually grill like beef, chicken, seafood, and pork. One of the great things about it is when you are grilling fatty meats, the fat will drip right off and drip down into the grooves, making your meal less greasy and healthier. You can also use the grill to give your veggies those excellent sear marks. Just like other nonstick pans, you are able to use metal utensils without scratching the nonstick surface. 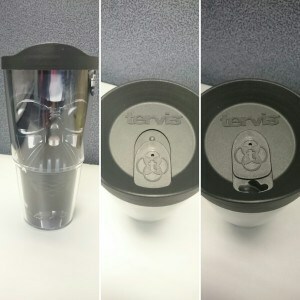 Clean up is also the same, super easy and comes right off with water and soap and is also dishwasher safe. This pan is also oven safe up to 500 degrees and there is the lifetime warranty from Scanpan with normal use and proper care. Definitely well worth the investment. This pan would be a great gift or even a great purchase for yourself. Especially if you don’t have a grill accessible or live in a place where you aren’t allowed to own a fire grill, or even if it is just too cold outside. MetroKitchen features a large selection Scanpan Grill Pans and other nonstick grill pans available on sale and with free shipping.